Licensed and bonded serving Dallas and surrounding areas. 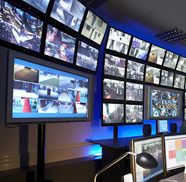 We can install a new security system or upgrade your existing devices; including cameras, alarms, control panels, and complete monitoring solutions. Contact us today for q free quote and directory of our services. Are you more concerned about protection when you are home in Allen or away?